RICHARD KITAEFF, M.A., N.D., Dip.Ac., L.Ac., naturopathic physician and acupuncturist, was the first Westerner to graduate from Meiji University of Oriental Medicine in Osaka, Japan. Kitaeff was also licensed as an acupuncturist by the government of Japan in 1975 and was a member of the first graduating class of naturopathic physicians from Bastyr University in 1982. He interned at the Osaka Medical College Pain Clinic and the Kyoto Pain Control Institute. Richard Kitaeff’s research on acupuncture and endorphins, carried out at the University of Washington School of Medicine and published in the journal Pain, was the first to verify the analgesic effect of acupuncture through objective (EEG) measurement. As a pioneering North American acupuncturist, he founded and directed acupuncture training programs of the Northwest Institute of Acupuncture and Oriental Medicine and Bastyr University in Seattle and was founding president of the Acupuncture Association of Washington. He has additionally taught acupuncture and pain management courses and seminars at Meiji, Friends World College, University of Washington, City University (Seattle), Pacific Acupuncture College and Southwest Acupuncture College. 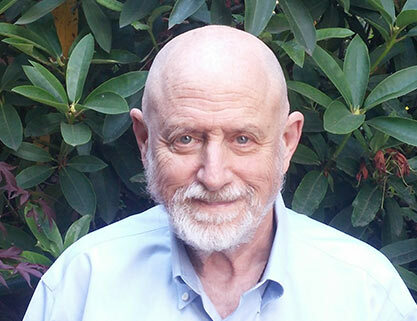 He has been an invited speaker at conferences of the American Association of Holistic Medicine, the American Association of Naturopathic Physicians, the Washington Association of Naturopathic Physicians, the Washington Association of Physician Assistants, the Northwest Naturopathic Conference, and Northwest Hospital. Kitaeff has also published articles on acupuncture and pain management in Pain, the Townsend Letter, the North American Journal of Oriental Medicine, and book chapters in Optimal Wellness, the Textbook of Natural Medicine, and the Encyclopedia of Natural Medicine. Since 1984, Richard Kitaeff has owned and directed New Health Medical Center in Edmonds, Washington. New Health Medical Center is a multidisciplinary center integrating North American, European and Asian techniques of pain control, systemic detoxification, allergy elimination and stress management. Since 1999, he has been the only acupuncturist or naturopathic physician to become a staff member of a major hospital in the Northwest, and additionally has been granted privileges at rehabilitation hospitals to treat stroke patients with acupuncture. Hi my name is Benito, two years ago I have been diagnosed with hyperthyroidism now I am so tired to take my levothyroxine. 75 mg and I am feeling weak day after day I wandered if there is other way to cure the thyroid issue. Thank you for your inquiry, sorry to hear about your discomfort. It is not normal to be experiencing what you are going through, especially being HYPERthyroid and still on medication. If you are in Seattle area, please call the number 425-775-6001 to schedule a free consultation.